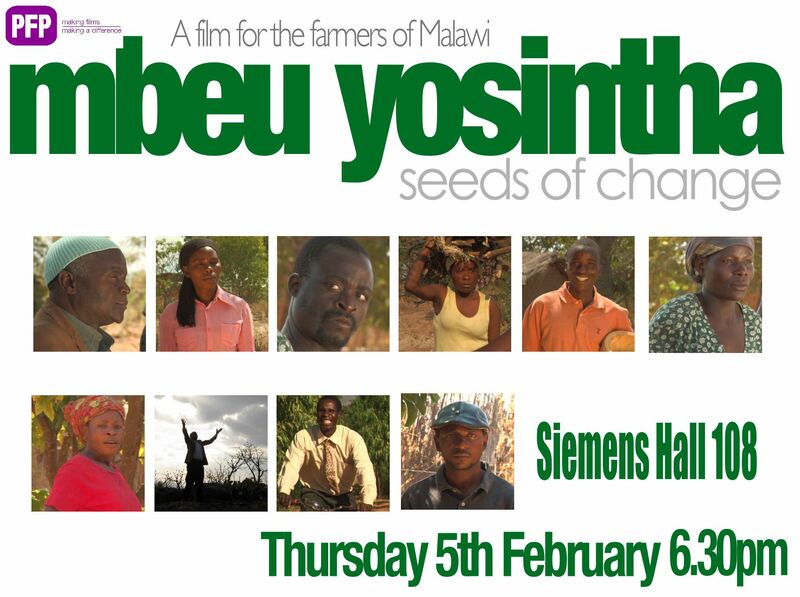 Please join us for a screening of MBEU YOSINTHA (SEEDS OF CHANGE), a film for the farmers of Malawi, with director Colin Stevens from U.K. Screening will take place at 6:30pm on Thursday, Feb. 5 in Siemens Hall 108. This is a drama portraying rural village life in Malawi as the village copes with the effects of climate change. The film is in Chichewa with English subtitles. Stevens previously directed MAWA LANGA (MY TOMORROW), also for Purple Field Productions, a UK based film charity creating films for international development. After the film screening, there will be a Q & A and a dialogue about the film including Stevens’ experience making films in Malawi. You can watch the trailer here.